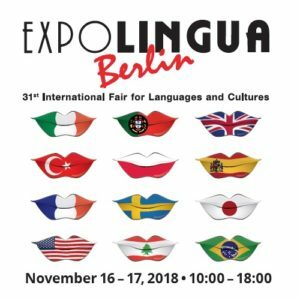 Expolingua is an amazing language fair that this year alone drew me and over 11,000 visitors over two days and 150 exhibitors from 33 countries! It was amazing seeing the world gather in one place. As a featured guest I had the opportunity to participate in a Q&A, give a concert, and present my talk “Stealing from Musicians.” It was a lot of work, but it was fun meeting people from all over! Each event was different from the next and various were further cemented into my experience bank that I want to share with you. I know not everyone is comfortable with speaking in public. Truth be told, the more you do it, you build a psychological foundation of confidence. Giving a concert or a presentation is never just easy. It’s all the work before hand that makes you realize your boat is ready to float and that it’ll stay floating. Let’s say you loose a paddle, you’ll have a spare one somewhere. This is what allows me to get on stage and rock it. In addition to that, the 5 Tips to Better Presentations are what keep me calm throughout the whole process. Know who you are, and what you are presenting. I used to think that talent was everything. I had a fixed mindset and believed that if you were talented or good at something, you didn’t need to prepare. I couldn’t be further from the truth. 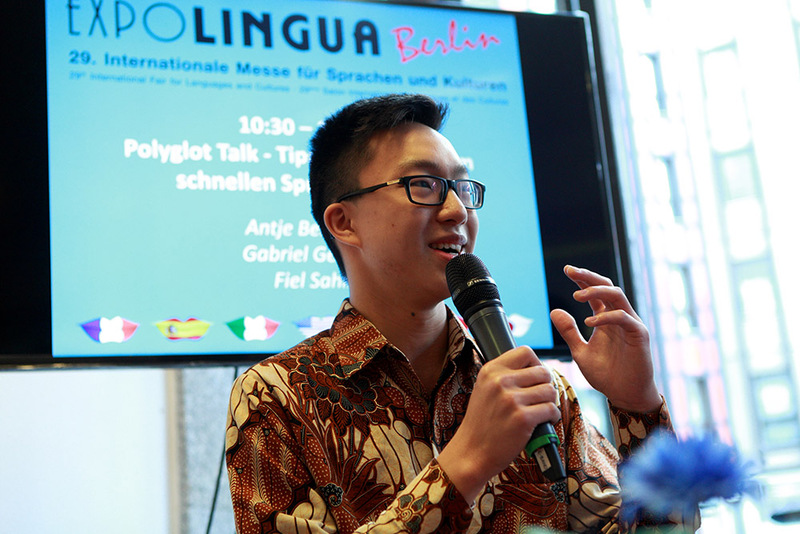 For my debut in the Polyglot Community this past May, I had two presentations to give. I’ve given talks and presented before, but never in a conference-type setting. How did I prepare? I sat down and wrote every word I was going to say and rehearsed it, with a stopwatch. I made sure I was within the given time frame. Of course, I didn’t say everything verbatim. The whole point of writing it out was so that I could be clear and coherent. I practiced both my talks alone in my room and I found someone who was willing to hear me give the whole thing complete with the powerpoint slides. I rehearsed it multiple times and even the days leading up to my presentation. Call me intense, but it allows you to be in better control of the outcome and thus win fans to whatever you believe in! A final idea is to pretend you are speaking to your best friend or someone you know would enjoy your talk and speak to them as if they were present. The words will flow naturally and you’ll feel much more at ease. Have Everything you Need and More. Be prepared. Boy Scouts know this phrase all too well. It’s our motto and with good reason: you must be ready to face the unpredictable. For the speaker, that can mean a number of things. This can include having your slides on a USB or having your presenter or adaptors with you. It always pays to have extra than to be screwed because you didn’t want to carry something. I cannot emphasize this enough. Luckily Expolingua has amazing staff that take care of you and make sure you’re good to go. This is vital. Musicians are always on location as early as an hour or two before an event for various reasons. It allows us to test out the venue and get adjusted to the acoustics and the feel of the hall. Why so much work? It’s for you guys! We want you the audience, to have the best experience possible. Being early also allows musicians to have time to relax and introspect before going on stage. Art is sacred which is why it’s such a serious endeavor. For speakers and musicians, being early allows you to also get situated and feel comfortable so you can know what to expect. I once heard it said that listening only accounts for a certain percentage of what people remember. Regardless of that being true or not, the idea got me thinking and has made me realize that you must involve someone as best as you can! Don’t just involve their ears, but involve their brains, their hands, whatever you can to get the information into their system. Remember that every audience will be different. Even if you don’t get a response, realize that it’s all about planting seeds. You can’t expect people to get converted to your way of thinking on the spot, which leads to the next step. Sometimes people don’t want to participate. Not because they don’t have anything to say, but because they’d rather talk and get to know you personally! They attended your talk not only because it was interesting, but because you were! At Expolingua, I made sure to open the floor to questions from the audience. But I went a step further and extended my welcome by telling them that I had business cards and that I would love to talk to them afterwards, and I did. I approached as many people as I could and stayed until there wasn’t anyone left. As a representative of various spheres, whether it be music, culture, or languages, it is always important to reach out. Don’t just extend a hand, but stoop low or whatever you need to do to be within reach. People will appreciate someone who isn’t on a pedestal. That’s the best way to Love out Loud. 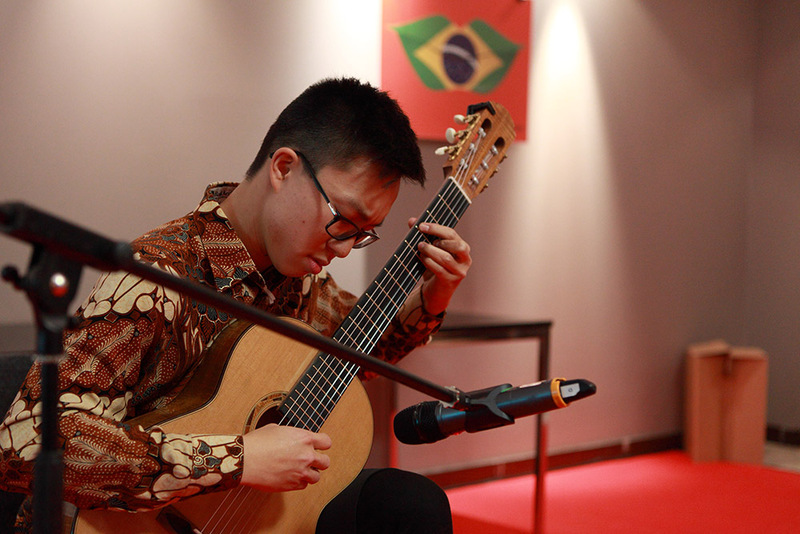 A breaker of every stereotype one can give (except that he can’t drive and wears glasses), Indonesian-American Fiel Sahir is a classical guitar performer, teacher, and language enthusiast hailing from New York City. He holds a BM from the New England Conservatory studying under polyglot pedagogue Eliot Fisk (the last student of Andrés Segovia) and is currently pursuing his Master’s at the Robert Schumann Hochschule under Joaquín Clerch in Düsseldorf, Germany. He speaks English, Indonesian, French, Spanish, German and Portuguese.